Home > Win a Bundle of YuMOVE ONE-A-DAY Chewies! Have you noticed your pet slowing down this winter on their walkies? Lintbells are here to help with their popular YuMOVE ONE-A-DAY Chewies, the perfect support in the colder months for any age dog and this month we are offering one lucky reader the chance to win three 90 packs! YuMOVE is a supplement to support your dog’s stiff joints and promote their mobility, all in a convenient one-a-day tasty treat. It’s also packed with unique ActivEase ® Green Lipped Mussel and is full of anti-oxidants. 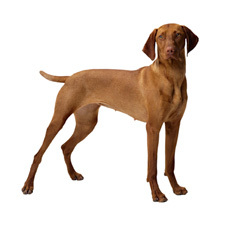 YuMOVE’s unique, premium formula is clinically proven to work within six weeks* and can make a tail-wagging difference to your pet pooch. If you and your dog are looking to get more active this year but need some help to protect their joints, then be sure to enter this competition. 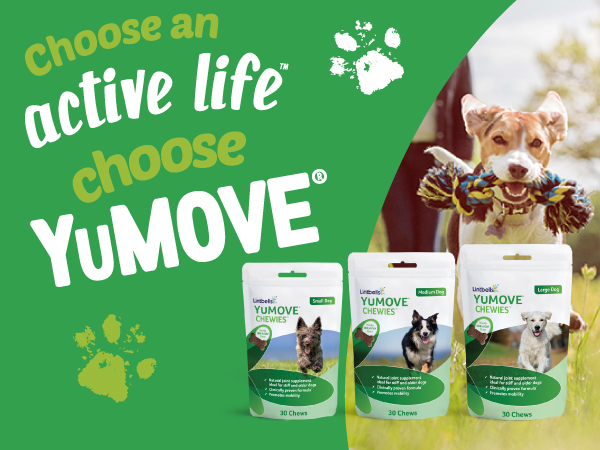 Lintbells are giving one very lucky winner the pawsitively amazing prize of three 90 packs of YuMOVE ONE-A-DAY Chewies! So what are you waiting for? To enter this competition all you have to do is comment on this post here leaving your email address hidden behind your username. Previous Post: Win a Handcrafted Charm Bead from Memories In Glass! Next Post: Win a Set of Dog Coasters!